Leicester Bangs - "The brainchild of one James White (I imagine a man with largish record collection), and he’s had a go at everything, from proggy grown up rock to Costello(esque) new wave pop, and pretty much pulls it all off. " Melodic.net - "'When I Was A Child' has a typical brittish lo-fi sort of sound in a pleasant way and fourth out 'Late Night Radio' have a lot of Waterboys-flirts... "
Hubbub UK - "Opening up with an instrumental is always a risk but in the case of 'It Didn't Move So I Ate it', it purely sets the scene for the unorthodox musical journey which you are about to embark." 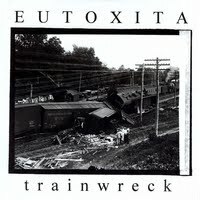 Allgigs.co.uk - "Trainwreck is probably the most apt album title ever."